Derek Milne is a former Director of the Newcastle University Doctorate in Clinical Psychology training programme. In addition to practicing as a clinical psychologist within the National Health Service and teaching within Higher Education, he has been a supervisor, a trainer of supervisors, and a supervision researcher. He wrote Evidence-Based Clinical Supervision (2009) and is the co–editor of The Wiley International Handbook of Clinical Supervision (2014). 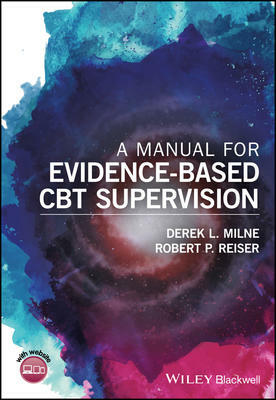 Dr. Reiser, a licensed clinical psychologist in California and a Fellow of the Academy of Cognitive Therapy, has been an active clinical supervisor over the past 20 years with 8 years’ experience in running a training clinic for an APA approved doctoral program; as a consulting supervisor providing CBT training to Veterans Administration clinicians within the CBT?-D national training program; and, currently, he supervises medical residents in the Department of Psychiatry at the University of California, San Francisco.